VA - Rockin' in the USA Hot 100 Hits of the 80s (2018) | Free eBooks Download - EBOOKEE! The 1980s were probably the last real decade for the pop single. It was certainly the last one in which every record that made the Hot 100 was an actual vinyl single. Radio was still breaking big hits and new artists, rather than TV talent shows and the still-nascent Internet. And people still rushed to their local record store to buy what their local station was playing, rather than streaming or downloading it. 23. John Mellencamp - R.O.C.K. 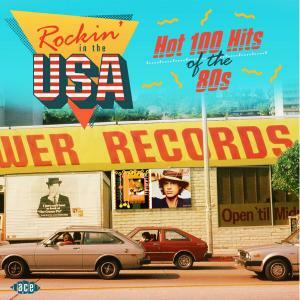 in the U.S.A.
No comments for "VA - Rockin' in the USA Hot 100 Hits of the 80s (2018)".